Product prices and availability are accurate as of 2019-04-22 07:59:22 UTC and are subject to change. Any price and availability information displayed on http://www.amazon.com/ at the time of purchase will apply to the purchase of this product. 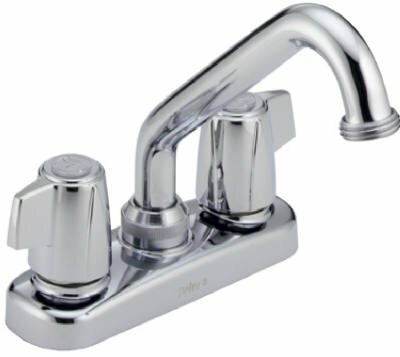 Chrome, 2 Handle, Classic Laundry Faucet, Easy To Operate Blade Handles, Spout Swings 360 Degree, For 2 Or 3 Hole Installation, Washerless Stem Cartridge, Solid Brass Construction.